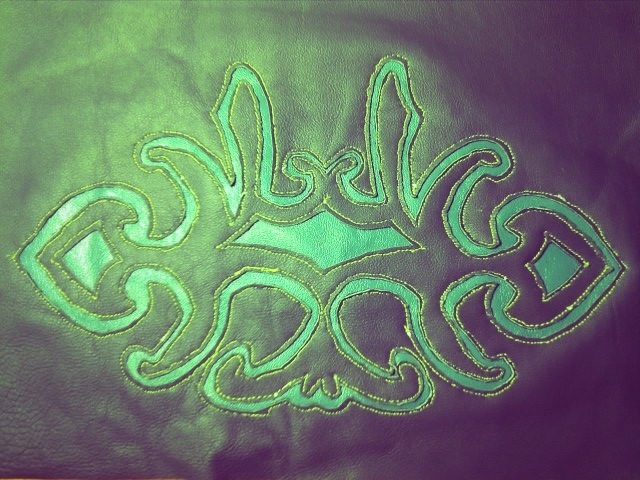 This is a new bag design, navy and turquoise leather cutwork design. Very exciting I think. I'll put up more photos when it's made into the bag!